The Ministry of Caring sponsored the development of this group home project funded by the US Department of Housing and Urban Development through the Section 811 Program, Federal Home Loan Bank of Pittsburgh and JP Morgan Chase. Separately incorporated, Mother Teresa House provides affordable long-term housing with supportive services for low-income men and women with HIV/AIDS. Construction of the project began in summer 2010 and was completed in summer 2011. Residents have an opportunity to receive ongoing supportive services to help them address individual needs and to enhance independent living. Mother Teresa House works closely with House of Joseph II, where people living with advanced stages of AIDS benefit from high-quality nursing care and supportive services. Land for the facility was donated by Lee and Marian Ramunno and the City of Wilmington. In October 2001, Sacred Heart Village opened its doors to seniors with low incomes. This HUD Section 202 project, located on the grounds of the former Sacred Heart Church, has transformed a city block and has been a stabilizing presence in the neighborhood. Today, the beautiful red brick complex includes 77 one-bedroom apartments, an activity room, a café, convenience store, hair salon, laundry, fitness center and computer room. In November 2008 St. Francis Family Practice of St. Francis Hospital opened a medical office in Sacred Heart Village to serve the health needs of residents and neighbors. Sacred Heart Housing Inc., is a Community Housing Development Organization established in 1998 to create affordable housing for people with low and moderate incomes. 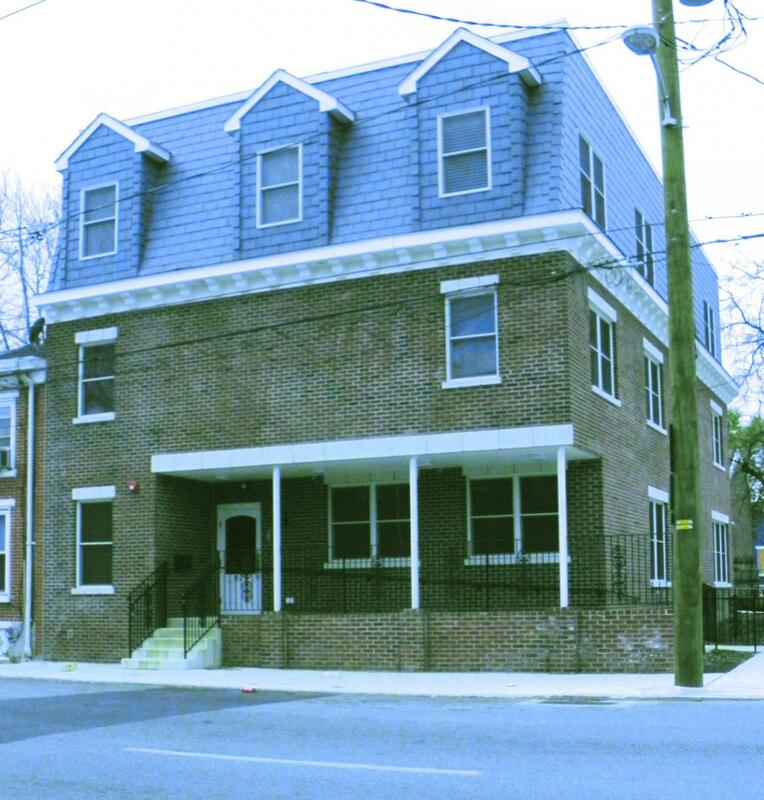 Since its inception, Sacred Heart Housing has striven to fulfill its mission to enhance the quality of neighborhoods in the City of Wilmington by creating affordable low- to moderate-income housing. AmeriCorps is a federally funded program launched in 1994 as a result of the National and Community Service Trust Act of 1993. The partnership between the Ministry of Caring and AmeriCorps, known as the Caring Corps program, allows members to work directly with the Ministry of Caring clients who are most critically in need, and to make a significant positive impact on our local community. An average of 10 to 12 AmeriCorps members each year serve throughout the Ministry of Caring. They help feed, shelter and care for the poor and homeless with dignity and respect. This experience helps to raise their awareness of the challenges faced by homeless and working poor individuals and families. It also fosters a member ethic of service that can last a lifetime. A federal mentoring program of the national Senior Corps Program, Foster Grandparent Program of Delaware (FGP) is operated by the Delaware State Office of Volunteerism for adults ages 55 and over who are dedicated to helping children. As a placement agency of FGP, the Ministry of Caring benefits from the contributions of these seniors who act in a supplemental capacity to staff in the Child Care Program. This health and human services agency for families in Delaware offers counseling, case management, youth development and communal services. Since 1991, Jewish Family Services has provided social workers who conduct workshops on life skills for residents of women’s shelters, transitional residences and long-term housing at the Ministry of Caring. Founded in 1979, Lutheran Volunteer Corps (LVC) is a one- or two-year national volunteer service program. The program is designed for individuals who want to explore their spirituality while working for social justice as they live in community with other volunteers and practice sustainability in all aspects of their lives. For nearly three decades, the LVC has provided the Ministry of Caring with young adults to help support our mission. They bring specialized skills, insights and dedication to serving the poor. LVC members supplement rather than displace existing staff, enabling programs to offer additional activities, including community outreach to the homeless, tutoring and reading to children in our emergency shelters, working with students who have developmental delays in our child care program and grant writing and communications assistance within our administrative offices. They have become an invaluable resource in building program capacity. The National Able Network provides staff for ministry programs through the Older Americans Act and U.S. Department of Labor. Low-income men and women, 55 or older, work 20 hours per week in ministry programs including shelters, child care, Emmanuel Dining Room and the Job Placement Center. This part-time training program often leads to participants’ full-time employment with the ministry of other agencies. A national Senior Corps program, Senior Companions pairs volunteers ages 55 and over with adults who have difficulty with simple tasks of day-to-day living. The Delaware program, coordinated and funded by First State Community Action Agency, supplies staff who help seniors at the Francis X. Norton Center. The Ministry of Caring is a partner with St. Francis Hospital through the St. Clare Medical Outreach program. A mobile medical van serves the poor and uninsured at Ministry of Caring sites throughout underserved neighborhoods in Wilmington. St. Francis Hospital supports House of Joseph II, a permanent residence for people with AIDS, with a Medical Director and the support of St. Francis Home Care. Child care programs are supported, in part, by a grant from the Delaware Division of the Arts, a state agency, in partnership with the National Endowment for the Arts . The Division promotes Delaware arts events on www.DelawareScene.com.